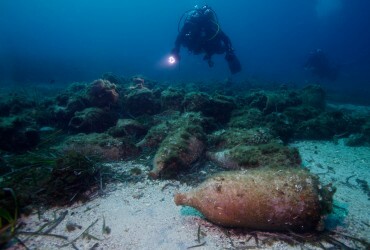 According to UNESCO, there are around 3 million shipwrecks that sleep peacefully at the bottom of our seas and oceans. 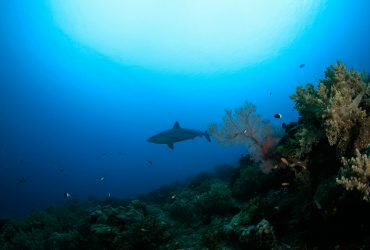 With the second largest marine area in the world, France has decided to go to war against the plunder of the remaining wrecks. But is it even possible? For almost a year, OCEAN71 Magazine led a lengthy investigation that took us at the heart of the French authorities and the ocean looters. Living underwater, dream or reality ? 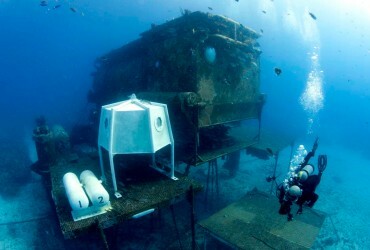 In the 60s, a group of pioneers demonstrated that it was possible to live below the surface of the water. What remains of this technology today? Not much. Nonetheless, the dream hasn’t faded away. Regularly, various projects of underwater restaurants, hotels and museums are presented with computer animations. But not a single one of them sees the light of day. We investigated to unravel the reality behind the dream. To celebrate our very first anniversary, we are offering a free subscription for every new subscriber, during a month. Until 2011, Réunion Island was a small marine paradise. Since then, this French department is locked into a dramatic nightmare: sharks are killing surfers and swimmers along the beaches of the West Coast. This unprecedented situation sparked tensions and controversy between nature conservationists, scientists, surfers, fishermen and beach goers. OCEAN71 investigated on an island in a constant state of aquatic emergency.